Apparently, the global smartphone market has come to a halt in 2018 as 377 million devices were shipped in 3rd quarter of 2017 in comparison to 355 million smartphones this year's 3rd quarter. 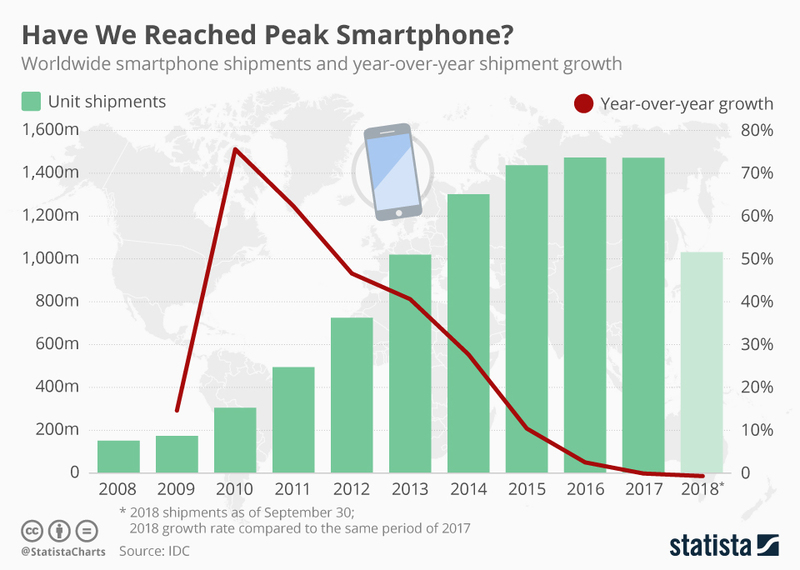 The latest insights from global market intelligence firm, International Data Corporation (IDC) suggests that the global smartphone shipment growth has reached its saturation level and the 2018 might be the year when the number of devices getting shipped may decline sharply. "China's domestic market continues to be challenged as overall consumer spending around smartphones has been down". He further added. "High penetration levels, mixed with some challenging economic times, has slowed the world's largest smartphone market. Despite this, we believe this market will begin to recover in 2019 and beyond, driven in the short term by a large, built up refresh cycle across all segments, and in the outer years of the forecast supported by 5G migration."